This page contains information relating to child safety and the Internet. This is our slideshow from an Act of Worship where we learnt about the online safety links on our website. NEW MARCH 2017 – Body image and self esteem tips for children and young people – download free parent guide. NEW MARCH 2017 – Childline launches new ‘For Me’ app to support young people via their smartphone. This new app provides uto young people in need of help directly through their mobile devices. The app has been named ‘For Me’ to ensure that it can be discreetly installed, this means that if someone happens to see the young person’s phone they can’t tell it’s a Childline service. This app has been created by 4 teenagers who realised there was an urgent need for young people to have easy access to confidential advice and support. The app, developed in partnership with Barclays, is now available as a free download by clicking here so young people can easily access Childline’s online services which include: 1 to 1 chat with a counsellor, ‘Ask Sam’ problem pages and a private locker – a personal area where young people can track their mood and write down their thoughts. NEW JANUARY 2016 – Cybersense a new App for Parents/Carers from Internet Matters by kentesafety.CyberSense is Intern Matters new app designed to help parents and carers talk about online safety issues with their children to ensure that they make smart choices to stay safe online. The app is aimed at children aged between 8-10 to help them think about what they would do if they were faced with different situations online; from cyberbullying to sharing content with someone they don’t know. The App includes a quiz that is played on a tablet with a split screen. This is mainly to encourage parents/carers and children to answer the questions at the same time to help create talking points around different Online Safety scenarios. At the end of each quiz, depending on how many question have been answered correctly, you are rewarded with a specific amount time to play a fun game together. The app is a great way for parents/carers to get talking with their children about practical ways to be resilient and get the best out of the internet. The app can be downloaded for free on the iTunes app store and Google Play store. On the 29th July 2015 Baroness Beeban Kidron launched iRights, a new civil society initiative which seeks to make the digital world a more transparent and empowering place for children and young people (under 18) by delivering a universal framework of digital rights, in order that young people are able to access digital technologies creatively, knowledgeably and fearlessly. The iRights framework has five iRights principles which interlinks to try to tackle the multiple issues of digital engagement for children and young people. Please click here for a direct link to the site. A family agreement is a great way to start a conversation as a whole family about how the internet should be used safely and responsibly when online at home, at school or at a friends house. To support parents in creating a family agreement Childnet International have put together some free advice and a helpful family agreement template for families to use as a starting point. New Online Safety Leaflet for Parents/Carers from Kent Trading Standards and Kent Safeguarding Children Board – The leaflet features useful tips and information for parents/carers as well as links to websites to report concerns and access support and advice such as CEOP, Childnet, NSPCC, The Parent Zone and the UK Safer Internet Centre. Please click here to access the leaflet. Live streaming apps are currently very topical and gaining popularity with adults and children alike. Towards the end of March 2015, Twitter announced that it was launching Periscope, while earlier in the year Meerkat appeared. Both apps, along with other similar apps and sites allow users to share live video from a phone or tablet to the world via Twitter or other social media. The apps request access to camera, microphone and location, and users will be notified when someone they are following begins a live broadcast. Both apps contain a leader board showing the most popular users. They require users to be aged 13 or over. Find out more about these and similar live streaming apps via Insafe’s Live Streaming Tipsheet. NEW – MAY 2015 – Kent County Council and Kent Police are increasingly receiving reports of children and young people accessing inappropriate content and being contacted by unknown individuals using apps and websites which enable video chat. There has also recently been national reserarch published by the Internet Watch Foundation which identified that children and young people as young as seven were being exploited online on webcams and chat sites. KCC’s eSafety Strategy Group and KSCB Education Sub Group have asked schools and settings to help raise awareness of these issues with parents and carers and a copy can be found here of their adapted letter recently sent out to parents. New link available from May 2015: net-aware A parental guide to the social networks children use provided by the NSPCC. A new portal with internet safety advice for parents was launched on 13th May by the 4 biggest Internet Service Providers in the UK – BT, Sky, Virgin and TalkTalk as part of the Government’s push on the use of parental controls in the home. 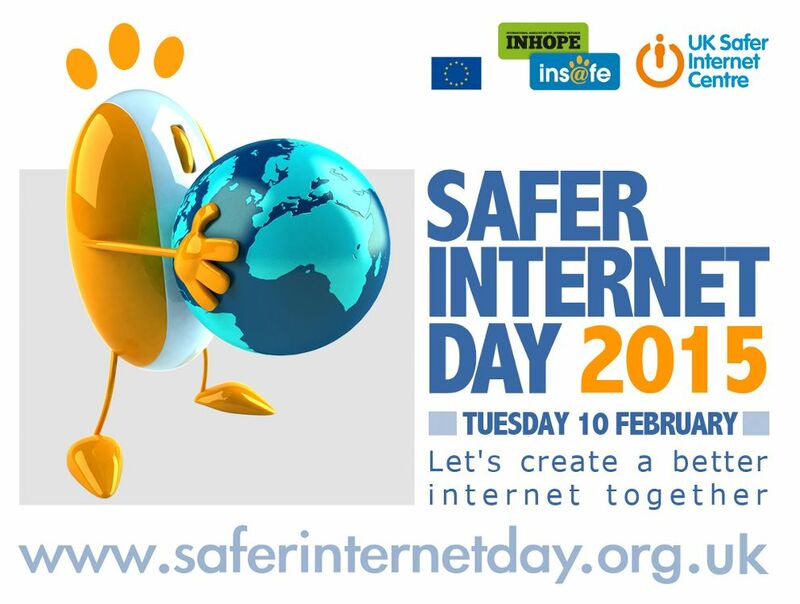 Internet Matters offers a lot of sound advice and practical information to parents either by issue (cyberbullying, grooming, privacy and so on) type of technology (social medial, mobile, gaming etc.) or by age. Amongst its supporters are the NSPCC, Childnet, Lucy Faithful, CEOP, OFCOM and many others and is worth exploring! Please click here for easy access to the site. Over the last few months quite a few new messaging apps have been released giving young people different spaces to share secrets anonymously online (Whisper and Yik Yak to name a couple). Just as a Sat Nav uses GPS data to locate where you are in your car, these apps use the same data, this time from your smartphone, to identify your physical location and share anonymous posts from people who are nearby (typically within a 5 mile radius). This makes the service all the more unique to each person which might attract some younger users. As with other anonymous messaging services such as Ask.fm, the new apps highlight similar risks around seeing posts or receiving replies which contain harmful/harassing content. For more information regarding Instant Messaging Apps please click here. Please look at the ‘Useful Links’ section at the bottom of our main menu for links to other online safety sites and links to the parentzone website. Parents and Children should note that anyone posting defamatory remarks personal to school staff on any networking site will be taken seriously and referred to the appropriate authorities if necessary.